At Platinum Care Pharmacy, we have the pharmacy equipment and the expert staff who can compound medication to treat hair loss. A lot of men and women struggle with hair thinning or severe hair loss. Whether it’s because of a health condition or of old age, losing your hair may affect your confidence level – and consequently, your personal life. We all want to look our best. A full head of hair adds to our self-esteem. 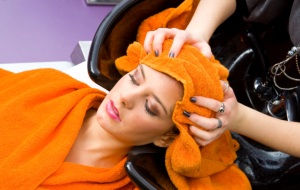 With compounding, there’s a chance that you can restore your crowning glory. Platinum Care Pharmacy offers non-surgical solutions for hair loss with specially prepared medication that are easy-to-use. Ask our pharmacist! Call 604-385-0188 today.